Our BRAVE client, ConsenSys, a global blockchain specialist announced the graduation and certification of its inaugural Developer Program class as part of its ConsenSys Academy. More than 150 guests and students attended a special graduation ceremony at the Emirates Towers Hotel, which included 58 graduating blockchain developers, two of which are from the United Arab Emirates. The students' graduation certificates were issued on the Ethereum blockchain through the self-sovereign digital identity app, uPort. 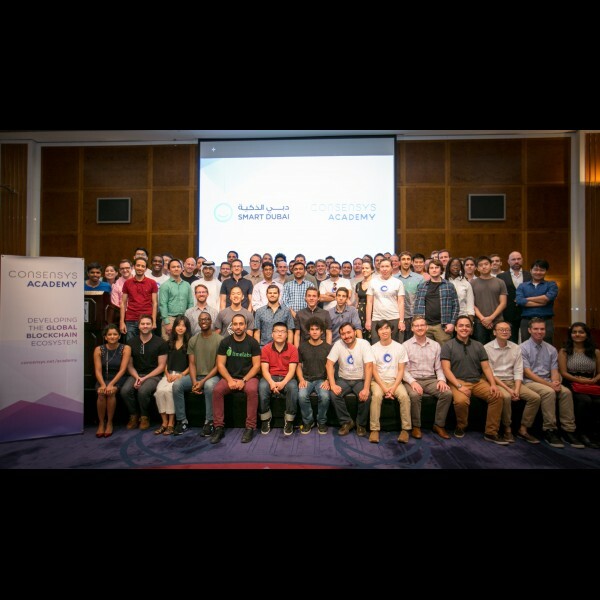 The gathering, which took place after an exciting three-day hackathon, was also graced by the presence of Joseph Lubin, CEO & Founder of Consensys and Mr. Wesam Lootah, CEO of Smart Dubai Government Establishment, in addition to top ConsenSys executives. Our team was proud to be a part of this informative exercise and look forward to more advances in the blockchain space.